Hyperion Strings Micro bietet Ihnen den perfekten Einsteig in die Welt der virtuellen Orchester-Streicher. Konzipiert für Native Instruments’ Kontakt Player sowie voll kompatibel mit Komplete Kontrol und den S-Series Keyboards, erhalten Sie ein komplettes Ensemble sowie 4 Main Section Presets für 8 Violinen, 6 Violas, 5 Cellos und 4 Double Basses. Ausgestattet ist Hyperion Strings Micro mit essentiellen Artikulationen für jede Sektion: Multidynamische Sustains mit und ohne natürliches Vibrato, Staccatos, Spiccatos und Pizzicatos sowie zwei grundlegende dynamische Expressions: Long Crescendos und Decrescendos. Soundiron recorded the string ensemble sections up close on a dry sound-stage - the historic Studio A at Fantasy Studios in Berkeley, CA - and then equipped the interface with plenty of spatialization, environment simulation and positioning controls and options to let you dial in the sound and character you need. It’s perfect for any musical style from rock, pop and EDM, to fully orchestral compositions. The interface is detailed, configurable and feature-rich to allow total customization. 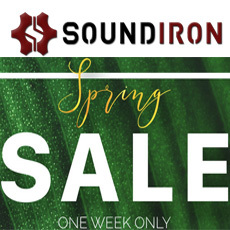 However, for all of the bells and whistles Soundiron have designed into Hyperion Micro, they carefully refined every feature to be intuitive and naturally simple to use, with virtually no learning curve.